Anandha struck me as one of those people who practically bleeds passion. She moved like a serpent and spoke like a sage. Her awareness of her body and voice was like a fine-tuned instrument. In other words, every moment, every movement and every word felt like a revelation. When I was a kid, I took a ballet class and loved it, but my family didn’t have the means for me to continue. In high school, I started doing a lot of drugs. A friend told me, “There’s this really cool thing called kundalini yoga, and it’s a natural high.” I studied kundalini yoga intensively from ages 14 to 16, and ended up going to a 10-day silent yoga retreat in New Mexico one summer. Every day we would have a two-hour break, and during that break I found this woman who was doing this unusual kind of yoga; it was done to music and was the most beautiful thing I had ever seen. I would sit and watch with tears rolling down my eyes. At the end of the 10 days, I found her and asked, “What is this amazing yoga you’ve been practicing?” She answered, “Modern dance.” So I found modern dance. I was 16. I decided dance was going to be my career. I started going to college for dance, but my first semester I got pregnant. I had my daughter when I was 18 and had another child soon thereafter. With children, I figured I couldn’t be a professional dancer, so I’d be a dance teacher. I got the degrees necessary and started teaching at Yavapai College in Prescott, Arizona. Eventually, I became head of the dance department and started a small dance company that toured Arizona and California for 15 years. Then I applied to get my master’s degree in Los Angeles, and ended up getting two master’s degrees. So I found a new way to be involved without the funding. 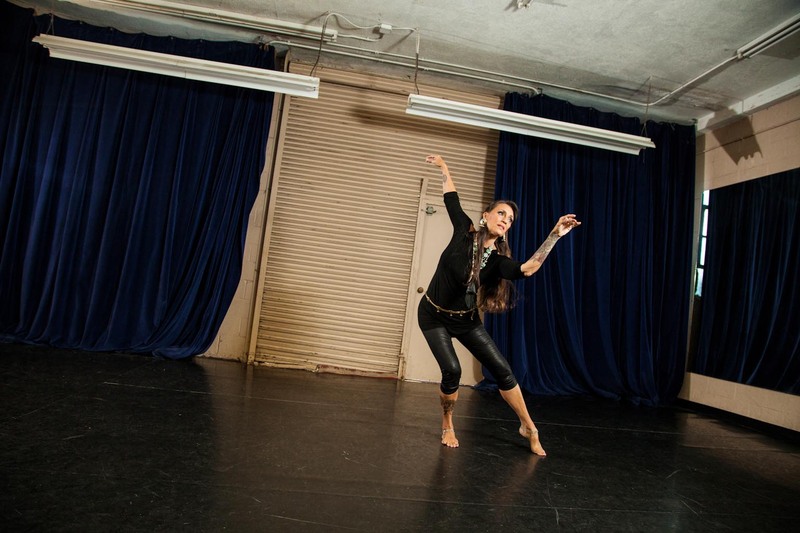 I closed the studio, closed the company, and found a new love: tribal fusion belly dance. It’s what got me on the path to what I do now, which I call shamanic fusion dance. It involves the spiritual aspects of Native American culture and several indigenous cultures but, of course, is also highly informed by my experiences in the contemporary dance world. In this form, the performances deepen as the dancer ages. Though the young dancers can be quite athletic, the dance journey in this form is about the spirit of the soul being transmitted through the poetry of motion, and that becomes quite rich with experience. Seven days a week, I do yoga. Two days a week, I train dancers for five hours a day. It’s my new group, called Quimera Tribe. Once a month at the new moon, I present a journey called Serpent Ceremonies. I created this form I call intuitive technique, combining my master’s degrees in dance therapy and choreography with an emphasis in kinesiology. The goal is to transform the personal self through movement. How have your motivations to dance evolved over time? When I was 16, I was amazed by the fact I could choreograph about anything I wanted. My dad was an alcoholic, bless his heart, and my first dance was about the trauma of having an alcoholic father. I ended up feeling a sense of healing through it. Many of the awards I’ve won have been humanitarian awards because I’ve done a lot of outreach to schools and underprivileged children. Even as a beginning dancer, I wanted to reach out and give dance to people. I think it’s a sin you have to pay for dance. So I went into Title One schools and taught six-week workshops. I would then grab the students who were really taken by dance and bring them to my studio. At the end, because the economy crashed and I had like 95 percent scholarship students, I killed my studio! But it changed peoples’ lives. It’s why I dance. Because dance can change the world. At first, my definition of success was to form an internationally touring dance company with world-class dancers. I set that goal, and in the course of my career I got to work as a cultural ambassador with the U.S. Embassy bringing dance across international borders in tours called “Dance without Borders.” We toured to seven countries and in every country we received standing ovations. Sometimes I remind myself of that, but it’s easy to forget because it passes. Dance passes. The way I judge success now is by seeing lives change. Dance is about more than the steps; it’s about the life lessons and community that supports us and can bring a sense of peace, belonging and feeling that we matter. Hopefully, every dancer I’ve touched will pay it forward. That’s what I’m doing; I’m paying it forward for my teachers. Martha Graham, Isadora Duncan and Doris Humphrey trained my teachers; I have a family tree that’s so rich. Is there any circumstance that would make you stop dancing? I have had some horrible physical ordeals where I had a neck brace for six months or I had my foot reconstructed surgically. There were times I could barely stand up. But I had to keep moving. I remember when I was young, I thought if I was ever paralyzed in a wheelchair… my worst fear is to not be able to move. If I ever couldn’t move, I’d just want someone to wheel me into a dance studio. I’ll dance in my mind. Dance is in the mind, right? Don’t stop. When you’re young, you think, “Ah, I don’t want to go to class today, I don’t feel well, I’m not gonna go to class.” But those are the days when you learn so much. Just get up and go. 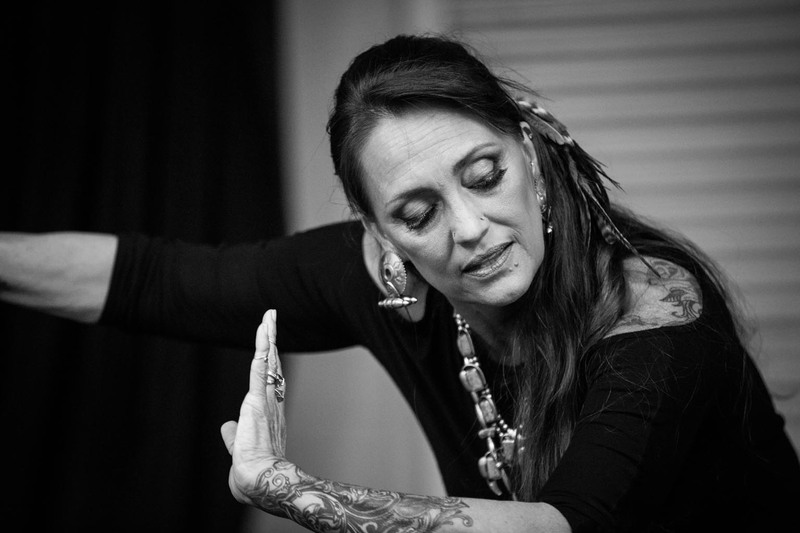 Anandha Ray currently directs Quimera Tribe: Shamanic Fusion Dance. She directed Moving Arts Dance from 1996 to 2011 and ARK III Dance from 1980 to 1995. 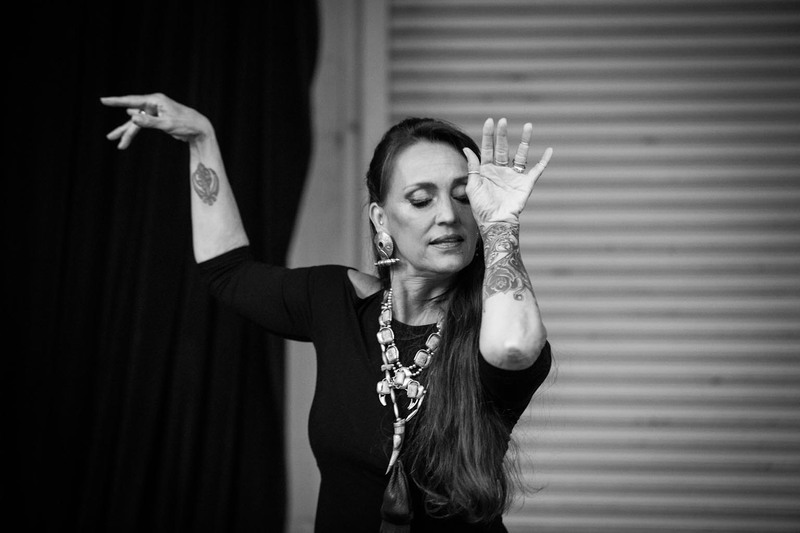 She has received awards and commendations from the Women’s Hall of Fame and the U.S. Senate and California Assembly, was named one of 25 Women Leading the Arts and a Visionary for the 21st Century, and has received numerous choreography grants and awards. 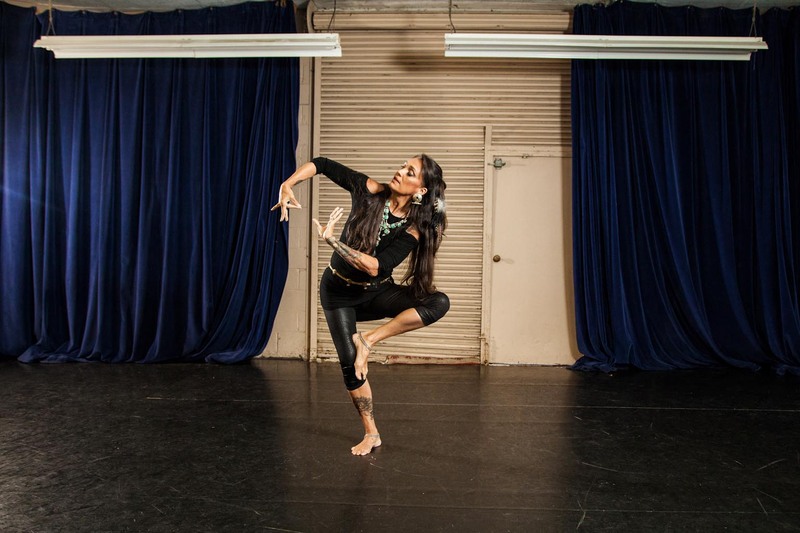 Former faculty/chairperson of dance at a college, university, community arts program and her own studio/theater, she continues to choreograph, teach and tour internationally.